Big Bible Town was a multiplayer online game (MMO) by Third Day Games, launched on November 15, 2010. This online game was based on Third Day's PC game series', Bible Champions and Gospel Champions. The overall style of the game was similar to Club Penguin, and was meant to teach biblical values and lessons, while set in the 1st century. The player would make an account, and build their own church-centric town by collecting tokens. The game also had Bible adventures the player could go through (much like Bible/Gospel Champions), in which you could win tokens and buy costumes, buildings, pets, etc. According to their Twitter, Big Bible Town had plans to release their game on IOS, but it is currently unknown if this fell through. It is unknown what happened to this game, let alone when the game shut down, as the official website is not accessible anymore. 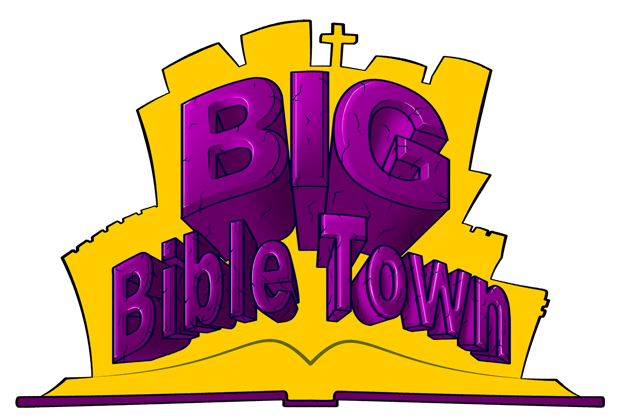 Multiple videos, as well as gameplay footage, can be found on the official Big Bible Town YouTube channel. Kids' thoughts on Big Bible Town. Official Big Bible Town Facebook page. News article about the game. Official Third Day Games website. Official Big Bible Town Twitter page.